It all started out in 1990 with a perfect location under the east end of the Burnside Bridge in Portland, Oregon. 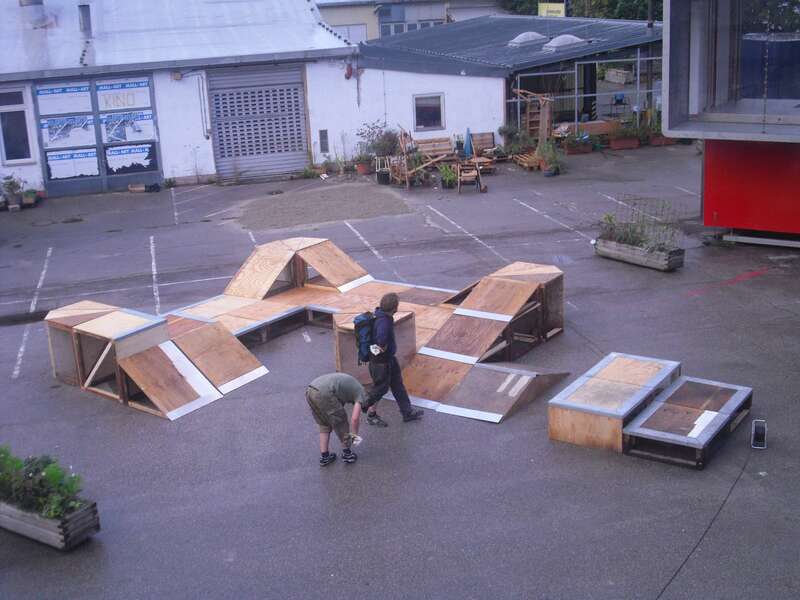 A group of the local skateboard community started out building their own public skatepark without any permission and approval of the competent supervisory authority. Within the years, the city would eventually see the potential of the park, and in 1998 it was finally granted legal by the public authority. 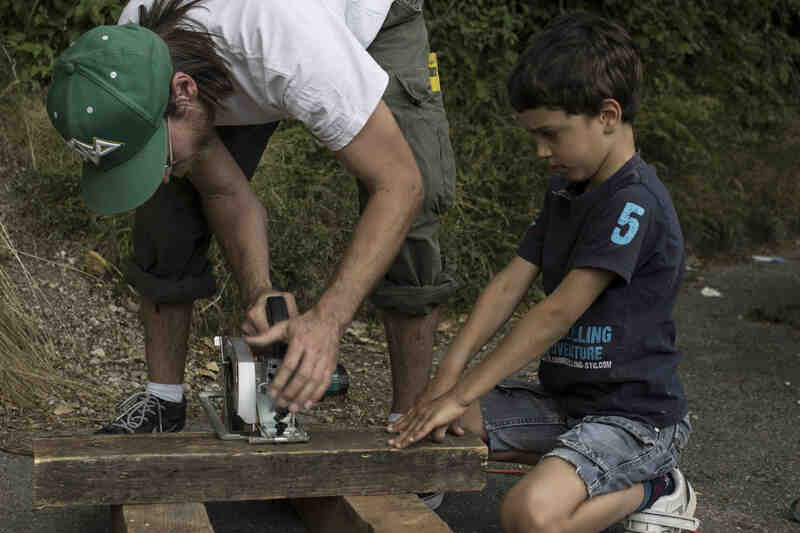 This park shall go down in history as a renegade for DIY-skatepark construction. 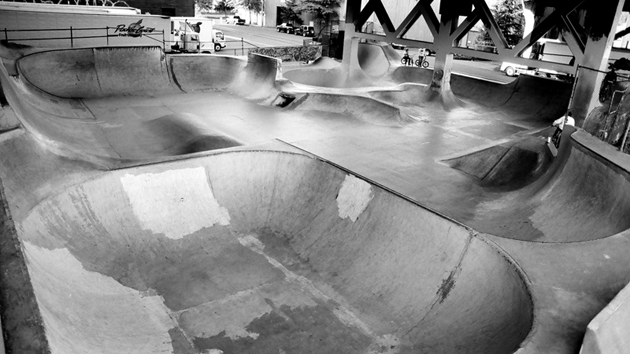 The Burnside bowl counts as a pioneer under the DIY-parks. Ever since this inspiration, DIY- or ghetto-spots bloom all over the world and can be explored in all corners of this globe. A nice example for innovative DIY-skatearchitecture in Europe ist the so called “2er” park in Hannover/Germany. 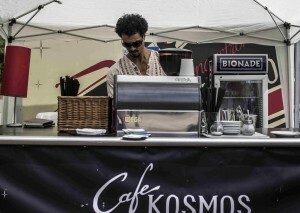 It continuously is extended and offers space for artistic and creative action in every manner. 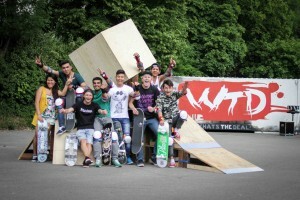 The park is more or less thought as an open paricipation-project and as a spot for building “social sculptures” as the “2er Skate-association” declares. It is a long time coming to find something similar to this in Munich. 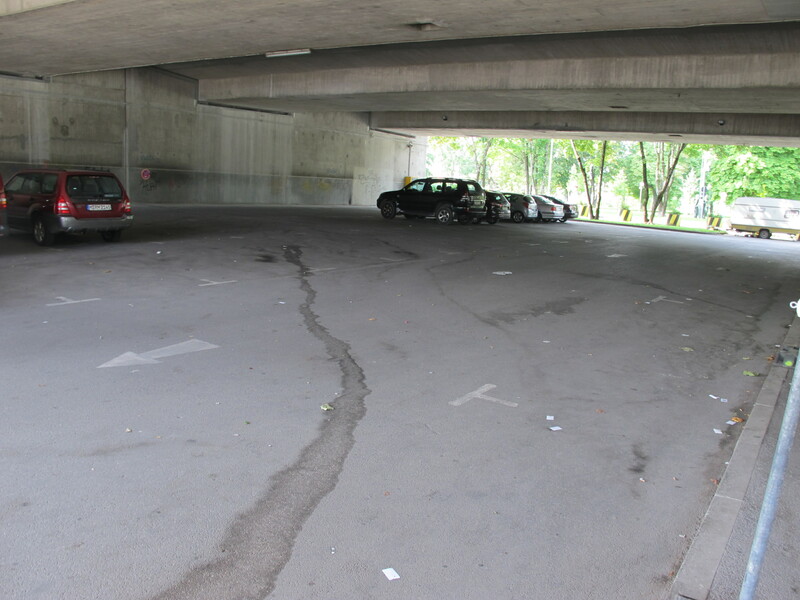 Even though there are plenty of opportunities to skate in Munich, the ONE spot is still missing out, where skaters have room for development of a combined creative prospect of ramps, curves or whatever you can think of. 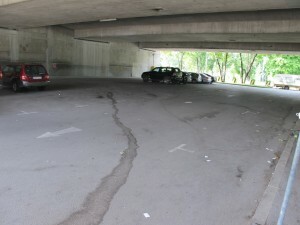 As one of the most eligible spots for building a DIY-spot in Munich counts the back section oft the parking lot under the bridge called „Donnersberger Brücke“. Just as Burnside in Portland, this spot would be roofed and pretty much skateable to every season and weather condition of the year. Due to limited options as it is right now, this spot is unfortunately not very highly frequented throughout the year. The space under the Donnersberger Brücke would be a perfect spot to overwinter the Nomadic Sculpture, if it wasn’t a private parking lot. But who knows? 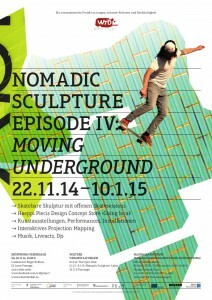 Maybe the Nomadic Sculpture could be the start of the first DIY-spot in Munich, as long as the city keeps their wrecking ball on hold. Before fiction becomes reality, the guys of the Munich based skateshop „SHRN“ appropriated the problem of skate-prohibition on certain public spaces and rebuilt a certain part of the court house in Munich. 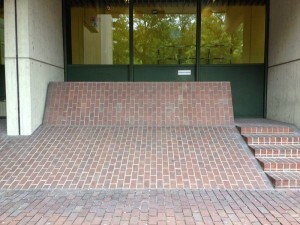 This spot counts as an ideal spot to skate but is just impossible to do so, since security is pretty much aware of the perfectness of the spot to skaters. 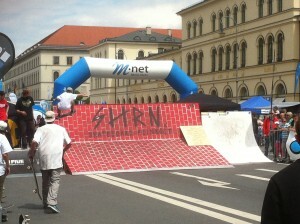 To skate the spot anyhow, was a goal the guys of “SHRN” wanted to fulfill. So they rebuilt the exact spot out of wood and set it up on the annual skate contest “Munich BE(A)ST”, where the local skaters could finally dedicate this famous spot. On the weekend of June 27th/28th the second episode of the What’s the deal? 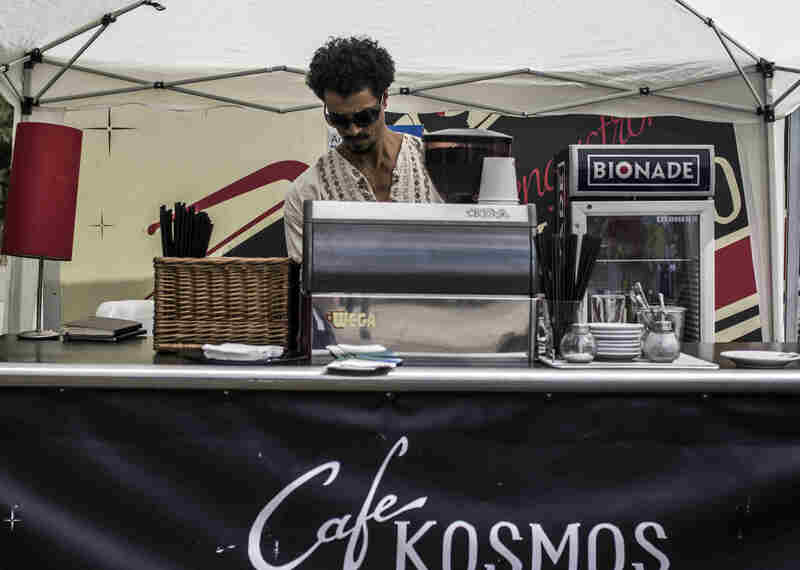 project will take place at Candidplatz in Munich. 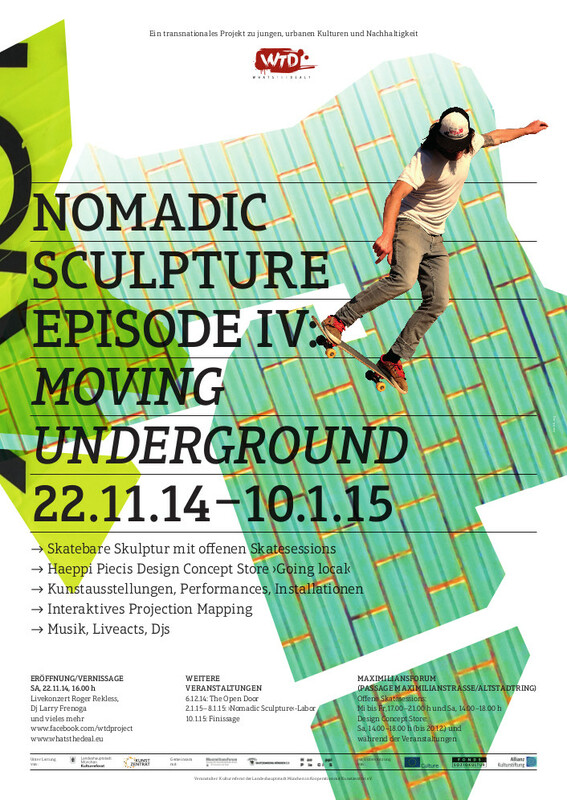 There you will have the chance to see or sakte the Nomadic Sculpture for the first time, which is only built out of sustainable material.